I can’t believe it…. I started blogging about my shelling adventures just ONE year ago!! It has changed my life to be able to share this magical treasure hunt with you and to see your comments after every post. To thank you for all of your kind words, encouragement, tips and corrections (it’s such a learning experience! ), we are having a GIVE AWAY!!! UPDATE: sorry this giveaway is over. After my SHELLING VIDEO this week, so many of you wanted to know about Clark’s new blue shelling scoop. Well, it’s called the SUSICK SEA SHELL SIFTER SCOOP. As most of you know, Clark (Super Sheller!) looooves his shelling tools and we have named his humongo shelling scoop the “shelling backhoe”. But lately the backhoe has been too big and cumbersome and the shell nets just weren’t cutting it. So he tried this new Seashell Sifter and …it works! He LIKES it! I even like it and I’m not a shelling tool kinda girl. 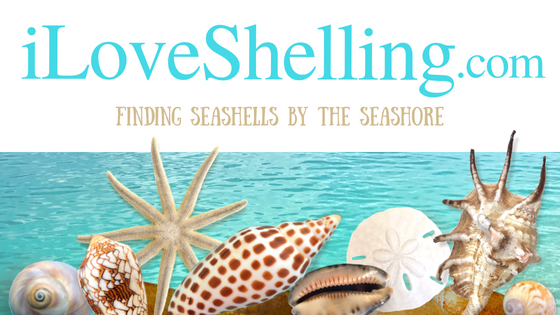 So to celebrate iLoveShelling.com’s anniversary, we are giving away a new Susick Sea Shell Sifter! Just make a comment on this post to enter to win. It’s easy! You don’t have to write a lot. If you want to enter? Just say you want one. Just let me know that you want to be included in the drawing. If you don’t know how to make a comment- Click on the Title of this post (Seashell Sifter GiveAway!) and scroll to the bottom then follow directions. Or you can click on the number in parenthesis (for example (1) or (0) ) after where it says “By pam – Comments” under the post title. Clark shelling with his new scoop. Good Luck and THANK YOU SO MUCH!!! I would love to win this! I love shelling on Sanibel! I love your blog too! Thanks! OMG I love your blog!! Please pick me!!!!!!!!! My sis-in-law and I are going on a shelling trip and I would love to win this for her ! We love scrounging for shells and other misc. So we could just SCOOP instead of bending over for one shell. LoveLoveLove your site!!!!!!!! this sifter is so cool!!! i would love to win it! love your blog!! I’m moving to Venice next Wed, Oct 20th and could definitely use this to save my back! Can’t wait to start shelling forever…been there many times, but gonna be a resident now! Woohoo!!! Looks like a useful thing. I’ve always used a net, the old style big scoopers were just too heavy and unwieldy to snag things out of the surf. We love shelling on Sanibel and Captiva and also love your blog. We’d love to have one of these shell scoops. We will arrive on Sanibel tomorrow for a two week stay and hope to run into you on one of the beaches. Will send you pics if we find anything interesting!!! I’ve never used tools to shell, but bending isn’t as easy as it used to be, so please count me in! I would love to win this scoop! We visited Sanibel for the first time last May and can’t wait to come back. Cool tool. Would love to have this for my next Sanibel trip. Love your blog! I would be the envy of my girlfriends on our next shelling trip. I would love to win this. Great looking tool. Would love to have one. Thank you for maintaining and publishing frequently on this site. I just found your blog recently and enjoy it very much. It’s fun to see what you find. We live at Pawleys Island SC and shell almost every day!!! But I have never seen the shell tools y’all use in Florida. I would love to try them out.We’re going to the Outer Banks in NC in Nov. for a shelling adventure and it would be great to use then. Shells & Kisses to all……. I wish I was in Sanibel shelling…. Love the pictures you post.. Thanks! This looks like just what I need to get the ones I usually miss out there in the surf. Maybe I’ll win it before my trip in December. I just found your site tonite while looking at tide charts——it is great!!!! Thank you for doing it and keep up the good work! Good for scraping along the sandy bottom. One of the best times we’ve had on Sanibel was walking on the sand bar at low tide and finding a spot that was absolutely loaded with shells. My husband dug down in the sand with his bare hands and then I sifted through and found so-o-o-o many wonderful shells. What a day! Wonder what shells we would have found with a scoop!?! If you can’t live on Sanibel the next best thing is Venice. Pam> Does a reply comment count? I would like to add that snazzy blue sifter to my array of shelling tools. I would love to win this amazing sea shell sifter . . . I fell in love with shelling in June of this year and can’t wait to go back . . . have one graduating high school and one graduating college this spring so it may not happen for a while but I will be there . . . and would LOVE to bring this with me! I would love to win the sifter, but I love your blog more! My husband teases me because I won’t go to bed at night until I’ve had my I Love Shelling fix for the day! Keep up the great work and THANK YOU!!! Absolutely would love to have one! I check your blog and facebook everyday. You have taught me so much about identifying shells. Thanks! I am thinking of ways to utilize shelling tools in my landlocked shelling adventures! Gotta keep my eyes trained to spot those shells in any conditions so I’m prepared for my next trip to Sanibel! I’d love to try this sifter ! We have a timeshare in Marco Island, and it’s amazing the shells I have found there,and while traveling to other beaches,other than the states! I have arthritis now, so I’m betting that works very well for people with back and hand problems, huh? Love your website, I have used it to help identify shells I’ve come home with, that I couldn’t id ! Thanks for all of your useful and pretty information ! Our family moved from Tampa, Florida to OREGON in 1989, and I miss the gulf beaches so much!!! I day dream (through your blog) about visiting Sanibel again someday. Having a new Susick Seashell Sifter Scoop would be a great motivation to buy that airplane ticket!! Thanks for the photos…. i want one!! please include me in the drawing….thanks! I would love to win the shell sifter. I’m sure it would work a lot better than my old worn out net! I could put that kit to good work!! Love it. And congrats on the one year. You have an amazing blog. I would love to try this scoop on my next trip. I think my friend would let me put it into her car for the trip down—as long as I promise to share. I would love to win this for my trip to Sanibel on Nov. 2. I love your blog. Thanks for all the useful info you give. I am excited at my upcoming trip. This will be my daughter’s and my 4th trip to Sanibel. Love your blog! Would love to have one of these! Cool tool, never seen one like this. Would love it to find the most beautiful shells on Sanibel. We visit once or twice a year and absolutely love the island. Your blog keeps us in the loop for the times in between and we so appreciate it! Happy shelling and thank you for keeping us updated on all the island happenings! This is your Virginia Beach shelling friend! I love to tell the story of our ‘chance’ meeting @ the Art Walk! I have never seen a tool like that – could start a new thing ‘back home’! God bless you both! This looks like it would be fun to try. Yes, I would like one. Thanks for providing a community where I can learn more about my favorite hobby. I would really like to win the Sea Shell Sifter Scoop. I love “I Love Sheeling”. It is a daily visit for me to feel close to where the shells are!!!! Seriously, you are too cute. Congratulations on your 1 year anniversary. I love reading your blog. I wish I could shell everyday like you. How wonderful. Hi, Pam! Love the new gadget. Looking forward to coming back to Sanibel next month and bringing my granddaughter, who has never been. Would love to own this tool to show her Grammy can get the job done :- ). Regardless, love this blog and appreciate all you do to promote the island and inform folks of its beauty and bounty. Keep up the good work. I LOVE your site. I’ve been an avid sheller but you have taught me so much about shelling. I love Sanibel and will be coming back this summer. Hope I can come with the blue sheller tool!!!! I KNOW it would just help my grandkids scoop up a good one! Thanks again for your site Pam it’s my daily read. I LOVE your site, I would love to have a sifter!!! I’ve been to Sanibel from Michigan several times but have never used one! My 12 yr daughter and I are planning our first “mom and daughter” trip in Dec….we can’t wait! Shells here we come! HAPPY ANNIVERSARY! Would love to be included in the drawing. But Pam, for those of us who may not win…where can we get one of these handy-dandy sifters? Thanks! and HAPPY SHELLING EVERYONE! the new blue shell sifter. Thanks for everything. I am very lucky to please enter me in the contest. I usually swim for shells even when it is very cold. BY BUDDY CAROLYN NALLY WOULD BE SOOOOO ENVIOUS IF YOU PICKED ME…WE COME TO SANIBEL EVERY WINTER AND ARE ALWAYS SEARCHING FOR THE O-WOW SHELLS…WHICH ARE ACTUALLY ALL O-WOW..
My wife and myself and others will be celebrating her 50th on Sanibel, We have been planning for a good year and shelling is at the top of the list, so we might as well come prepared, we could use a nice free scooper. So if we don’t win I ordered 3 to have when we get there. Your sight is amazing and very informative we got a lot of ideas of how, when and where to shell. I love…love…love it…count me in on the fun and Happy Anniversary…what a blog!!! Congratulations on the BEST blog ever about Sanibel! It always brings me joy, and is a feast for the eyes,as well as satisfying some part of the deep seated emotional attachment I have for Sanibel. Thank you for creating this little isle of tranquility. Just finished sorting,cleaning and identifying all of the shells we brought back in September. It was amazing how many different kinds and when spread out, how many we brought back. Because of you and your blog, we learned so much and enjoyed every minute of shelling. I would love the seashell sifter scoop. We are planning another trip back during the winter months. Thanks!! Oh,…. do I want one? I really ,really,really do want one. We leave for Folly Beach on the 27th of October. Did I say I’d LOVE one? Thanks so much, for this great opportunity to maybe win one! I would love one of these! Our family loves to go shelling on Sanibel and Captiva in May every year. We’re kind of competitive, so I really need this seashell sifter scoop!! I love your blog and learn alot from it. I never get tired of looking at the shells I’ve collected. I have them in jars all over the house and look at them every day. Went shelling on Sanibel for the first time last week and I am hooked ! Would LOVE to win the Shell Shifter !! I think thie is a great was and give away to celebrate iLoveShelling.com’s anniversary. I’ve been following the blog for a couple of weeks now but today’s my first comment. Please put me in the drawing for this! I’m new to shelling, and don’t live on a hotspot like Sanibel, but I’m trying to make the most of these Caribbean shores! I will be there for Christmas, if I win you don’t need to ship it, I’ll pick it up! I would LOVE to win the prize! I have seen many gadgets for shellers over the 41 years I’ve been coming to Sanibel, but this one really looks great. I love collecting the tiniest of miniatures but some times you have to give your eyes and back a break. My daughter – from age 4 – was almost always by my side in the midst of a shell bed. She still loves beaches and shelling. I have missed a few years but can’t wait to come back next year. Save some for me! Wow, how generous of you! Congratulations on one year with your blog. I can’t tell you how much I enjoy reading it! wow, we are headed to the beach on Oct. 27. I would love to win this! Please, oh please…my grand-girls are coming down from Minnesota this winter and would have a ball with this at the beach. I have been collecting shells my whole life. Under each bed in my house are boxes and boxes of beautiful shells. I use them all over my house in my decor. I even use broken ones to to cover the surface of my large artificial plant tree pots. I collect large clear glass containers and sort the shells by type. Your shell scoop will be in a great home. Wow I need one of those. I go shelling several times a week and that would come in handy. Love your blog and Sanibel. Winning this would just mean another great reason to visit Sanibel again. Happy anniversary to you. Please enter me in your contest for the scoop. That looks like a great shelling tool! sadly i didnt get to make the trip trip i had hoped for this month – but maybe i can come to Sanibel for my 1st trip in May ! I would love to have the sifter for my mom and daughter trip with my mom in Dec. I can’t wait to see what I can find! So glad you started this site. I look forward to it every day–it really is the next best thing to going to the beach. We have always been shellers, but we are learning a lot about shells and the ocean from this blog. This little bit of beach each day helps your landlocked friends survive until they can actually get to the beach! I love shelling. I love Sanibel. I love shelling tools. I’d love to win!!! Loved out visit to Sanibel in August. Lots of stress in my life right now. My mantra for trying to sleep at night is scooping up shells from the Sanibel beaches. Works wonders. Shelling brings peace to my soul. Oh my gosh! I’ve been seeing these on various websites and wondering where in the world to get one! It’s just what I need! I’d love to win it – thanks for offering! Well I found your site by accident while visiting Pensacola. I live in Arkansas and only get to visit once a year but I spend nearly every hour shelling and snorkling. This tool looks like it would make shelling really fun from the shore. I love to make creative crafts from my shells like I filled a clear lamp base with my shells from last Summer. I havent decided what to do with my treasures from this trip. Thanks for offering this cool tool!!! Thank you so much for opening up a whole new world of shelling for us. I love your blog and so appreciate the manner in which you educate us on the joys of the sea. I love shelling also and benefit greatly from your reviews, photos and videos. Again thank you so much and please enter me in your contest. I would LOVE to have one of these sifters. Even if I don’t win it, please tell me where I can buy one. Thanks, and congrats on your blog anniversary. I’m so glad you’re doing the blog because it keeps me in touch with Sanibel and Captiva and shelling. I’m a seashell fanatic and love hearing all your stories. If their is justice in the world of shelling…..this shell sifter will be mine! We are returning to Sanibel this winter with our now grown sons, a daughter-in-law and grandchildren. Can’t wait to introduce my daughter-in-law and the grand-kids to shelling. Your blog has helped me learn a lot and the shell sifter would top our searching off. The right tool for the right job – what better job could you have than a professional sheller? Pick me… pick me…… absolutely love shelling…… have many good finds from the TX and NC coasts…….. this is a great tool…… would love to bring it with me!!! Congratulations on the anniversary!! What a wonderful blog. Reading it actually makes me feel like I am on Sanibel! Please enter me in the drawing….thanks……..see you in January! Congrats on your blogiversary!! That new backhoe (better than my wire mesh one) would be great and I’d even drive down there to pick it up since I’m only an hour north of you! I just got to Sanibel this afternoon for our one week vacation. I am a shelling fanatic, too! And I love to look at your website. It makes me feel like I’m at Sanibel, too. Some of your pictures of shell piles make me feel like I could just reach into my computer screen & grab one. I would love to win the “shell sifter.” I could use it while I’m down here. When will you select a winner? And, are they sold somewhere on the island? I’ll be checking your blogs this week to see if you have any shelling tips for this week. I would looooove to win the shell shifter! This tool would be perfect on those days when I just can’t bend over. ( but of course I do, because a sheller can’t resist picking up ‘just one more’ shell). Congtrats on your blogo-versary! I love your blog, and think you’ve done a fantastic job doing it! I really like that seashell scoop, my shells will look even better when they come up in that! Thanks Christine! If those of you don’t win but want to buy one of these sifters… I have a link on the post several times to their website. I have bolded and highlighted any links on all posts. So if you see something you need more info on and the word is bolded and highlight (my older posts weren’t bolded- I just learned that it would make it more obvious ;) ) …just click on it. Try it! You won’t believe how much more info you will find on each post! Thanks! Wowee!!! We have some shellers out there, don’t we???? I love to hear from yall! So tell your buddies that you shell with to sign up too so you have more chances. This is fantastic….. and we just started! I would love to win it. Will be down Oct. 31st and the “scoop” would really help. I had foot surgery last Dec. and now I need a new knee. I could just scoop and lift and sort. Hope to see you on the beach when I get down there, will be there for a month. This is really cool! Please enter me in the contest, I’ve always wanted one of these. I so needed that when I was shelling last month! That would be a welcome treasure. Congrats on the one year anniversary. Love to shell with you and Clark thru your blog when I can’t make it to Sanibel. Would love to win the Sifter so I can use it up here for Sharks teeth too. Thanks for being so generous with all the great pics and just all the time and love you guys put into this blog. Let’s hope for a great shelling winter. I would be honored to win your shell scoop and would use it proudly for my trip there the 1st weekend of November! I can totally see myself pulling in that big Junonia that eludes me in my dreams. If I win the backhoe though, I’d be sure to share the wealth!! Love your Blog and keep up the Great Work. I want one so I can be as cool as Clark! I would love to win the shell scooper and am ready to come give it a try right away! I would love to have this, and to meet you guys too!! Your blog is the best!! This tool is the best! I bought one to take with me to Sanibel Island, FL this month and I cant tell you how helpful it was! Shelling made much easier! LOVE IT! I would love to win the sifter. It would be a great gift for my wife. She loves Sanibel and shelling. Mary’s been asking me when we’re going to get more than just our hands and pockets to collect shells!!! What a great prize. Consider us entered! Love that scoop!! Might have to buy one myself. me, please! I look for you every time I am on the beach and never find you. If I can’t find you, I believe the sheller would be the next best thing,,, of course, you and the sheller are playing second fiddle to the shells! Just got back from Sanibel yesterday and had wonderful time. My wife and I were there on the 10th thru the 13th and it was beautiful. We found lots of beautiful shells. It would be awesome to have a tool like this. We would love to be considered for it. Pam: I just adore this site. I am a member of the North Carolina Shell Club and was just thrilled to see how many people love the shells and beach as much as I do. And now, a gadget that I would just love to have for my shelling jaunts. I only get to Florida once or twice a year but I could use it here in NC at the Outerbanks and local beaches anytime. Keep on sharing and and keep on shelling all. would love to won the sifter. and like everyone else I love this blog and appreciate the time and effort you and clark put into it. Congratulations on the 1st anniversary of your most informative and fun blog. I’ve referred several family and friends to your blog. My husband and I and another couple will be on Sanibel the first week of December. I am so looking forward to introducing our friends to the excitement of shelling…hope we find as many treasures as you found on the Lighthouse beach yesterday. Your photographs are fabulous! I love following your blog! Gives me a little bit of paradise every day! Please enter me in the contest! I was only in Florida once, and I was lucky enough to meet you. I am so glad you gave me your card. Now from the most Northwestern tip of the US, I can stay in touch with you and what’s going on at my future retirement state. Thanks for all the very cool updates. This would be awesome to win ! Nothing like it for sale up here in PA. I tried to make something useful last year for our May trip out of four dented squash rackets. I removed the strings and sewed on a piece of a mesh bag all the way around the frame. It worked to some degree but was really only useful for a rolling shell that was getting away in wave, which didn’t happen too often. and grandaughter. I would love to win as it would make our searches more interesting. Would love to win the shell scoop. My very creative son made one for me but an official one would be great! Pick Me! I would LOVE to play with a new toy. I would love to win one of these! I love to shell. I am going to Sannibel for the thanksgiving weekend. But if not, oh well! I want one! I have never used a tool other than my hands and feet. Can’t wait to get back to Sanibel and try it (If I win). Thanks. So glad I found your blog from the bait shop. Will we going to Sanibel for 3 weeks in Nov. and always enjoy shelling. I have always seen nets and scops and different shops and womdered if people used them. I would like to be added to the drawing plesae. Are they for sale on the island if so which shop? I would love to have this shell sifter…we visited sanibel for the first time this summer with our kids and just loved all the shells that we collected. This would definately help us next summer when we come back to visit. This scoop would really help limit my back pain when doing the Sanibel Stoop. I would love to have one of these! The beach is my favorite place to be on this earth. And collecting shells is one of my favorite things to do. Believe me, I have shells to prove it! Unfortunately, since becoming disabled, I don’t think I will be able to bend over and pick the shells up. This would help so much!! What a great tool Clark discovered! Your website brings smiles to my face at the end of the day! I have the pleasure of living 5 blocks from the Atlantic in Jax Beach, FL (NE FL) but long for my annual visits to Captiva. Our beaches are long and beautiful but not quite as bountiful as Sanibel/Captiva. Happy posting and happy shelling. What a wonderful prize! Terrific to ease my arthritic neck and back! I can’t go to the beach without picking up “treasures”. I love your site here. Thanks and God bless! Will be in Sanibel for 6 weeks this winter. Am so excited. Would love to have a seashell sifter for those shell hunts on the beach. Hope I win. Might have to purchase one if I don’t. Love your blog! Sanibel is our favorite place in Florida and shelling there is our favorite pastime. The sifter would surely save my back and my fingernails! Never miss iloveshelling.com. Wish I had your life. What a nice giveaway. I’ve never seen one in a Galveston shop, but honestly I’ve not looked specifically for a sifter. My back & I would love to give this a whirl on Texas beaches! Perfect for the shelling addict – me!! Thanks for continuing to keep us conected!!! We’d love to win the Shell Sifter, as we are south-bound to Sanibel soon for a couple of weeks of sun and shells. Love your blog! As someone who has a cruise in their near future…this would be a cool gift! I’d love to win this sifter! Your blog has made me want to visit Sanibel very much. Congratulations on your 1 year anniversary. My family met you on or last trip to Sanibel during tropical depression 5 at Blind Pass. I enjoy viewing your website regularly. I am from CT and enjoy taking trips to Sanibel. I am coming down again in February where the tool would be helpful instead of red, cut, hands. We’re the friends that Val (New Mexico) referred to in her 10/18/10 (9:38a.m) comment…..We are new to Shelling..Sanibel Island…and your web-site…. We will be on Sanibel Island with our dear friends (all graduates of the class of 1958) and I would love to win that shell sifter….if not for myself….for my dear friend Val……Thanks so much! DONT KNOW WHAT YEAR IF FOUND IT BUT IT WAS SOME TIME AGO AND I THINK WE WERE AT SANDLEFOOT WHEN I FOUND IT. I would like to win the scoop although all I’ve ever used has been my hands. Like so many other people, I love Sanibel and would be there all the time if possible. Just to look at your pictures and videos makes me “homesick”! By the way, I LOVE the mirror covered with worm shells – it makes me think of something done by Chihully (glass art). How long and where did you find all the shells to make it? Pam, I loved to collect sea shells but have never been able to go to Sanibel Island. No one else in my family collects shells so they are looking for other things in a beach vacation. Please enter my name in the shell scoop drawing. Hopefully, in my future I can head your way! Thank you for your wonderful site. Wow! This looks easy to use…..Absolutely love your blog! I would love to win this shell sifter…haven’t made it to Sanibel yet but it is in the works!! I love picking up shells!. Thanks! would love to win this shell sifter!! everybody wants a sifter…including me! great blog. brings me right back to the beach….where i’d love to be right now. I would love a shell sifter! I love your blog…just visiting for a few minutes during my workday takes me away to my favorite place and pasttime! Thanks Pam! i would love to have a shell sifter!! then my chances for finding a junonia would increase!!! thanks pam for your awesome posts!! I would love to win this. We can’t wait to go back to Sanibel! Congrats on a very successful first year and may your blessings continue for many more! I first went to Sanibel more than 25 years ago. I don’t get to go every year, but I am fond of saying that when I die I hope I go to Sanibel. I would love the shell sifter. I need one of these! I am a new sheller as we were at my daughter’s on Hickory Blvd. during Christmas last year and we went to the beach there every day and came back to Ohio with 1,070 shells!!!! Yes, I counted them after I cleaned them and sorted them by size. I am using them for decorating and crafting. Even though I have more than half of them left — I am having a panic attack that I am running low!!!! We don’t have such sifters around the beaches of the Panhandle!! That is the neatest thing I have ever seen for seashell sifting!!! We’re leaving Sat. for the shuttle launch and I want to come to Sanibel! I love shells and I really like your blog! I would Love to have one of these. There was one in the condo we rented this summer and i used it every day. Include me in your drawing! I would love to win a sifter. If I won, I’d give it to my sister, she’s visiting your island in January! I just discovered your site a couple of weeks ago–I always go to The Bait Box for their tide chart and one day I happened to see your site–I LOVE IT!!!!! We moved here from KC a year ago because I am a sea shell nut! Every free day I have you will find me on Sanibel or a nearby beach. That sifter would come in very handy==please enter me in the contest. Your photos are wonderful and the information you give about the shells are great! I check in every couple of days and I have to say, it is my favorite site! How about The Sisterhood of Shells? We need to form a group or is there one already? Awesome shelling net. Maybe I’d finally find a junonia if I had that beauty. Good luck to everyone! Looking forward to my trip next year again to Sanibel. This shell sifter would sure be handy!!! I am just mow learning about the handy tools. Would love to try out a shell sifter on my next visit to Sanibel! Take me back to Sanibel & the Shells. Pick me. Hi, My mom has already just bought 2 of these, we hope they come before we leave for Folly Beach ,S.C. next Wed. …..But she and I argue (lol) over which one of us is gonna”win” one!! The limpet pics are so very pretty. I am sure others would agree!! We live in pennsylvania but visit sanibel (heaven) at least twice during the year. We love everything about sanibel island except for the day we have to leave (come on powerball!). We cant get enough shelling and consider your website the #1 best source. We would love to have a susick sea shell sifter. Please enter us in the contest. I am from upstate NY and looking forward to shelling on Sanibel next month with my sister. Last year was my first trip to FL. We were in Naples and went to Sanibel and fell in love. Am looking forward to Sanibel next month, bringing my sister so she can fall in love too. This time we are staying on Sanibel. We are driving and bringing extra boxes for shells. Made wind chimes, valances for my screen house, garland for xmas tree. I would love to win a scoop just to be able to say I won it on Pams shelling site, Iloveshelling.com. I love your site, I visit every couple of days, (most of the time it’s daily, lol) the pictures, videos, and information is just great, but I really enjoy YOUR comments, they are so cool. I will be looking for you, because the only thing I would enjoy better than the scoop would be to meet you. Hoping to see you there! Oh Good—-there’s room for me to add to the shell scooper giveaway! Read your blog before our trip in Feb 2011 and continue to read to plan for the next trip!!! Love to follow your daily shelling. Please enter me in the shell scooper giveaway. Love it! What a fantastic idea!